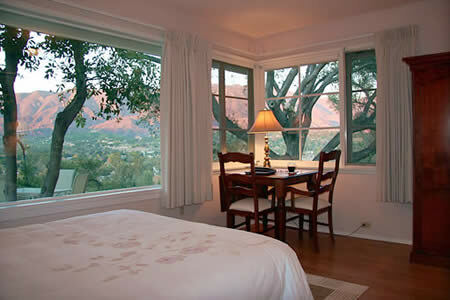 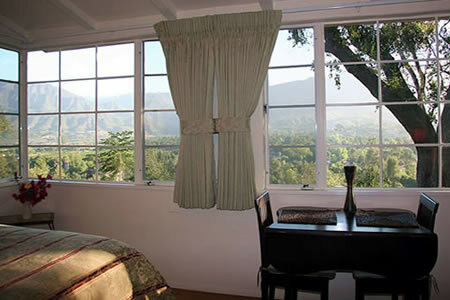 Ojai Retreat & Inn, a slice of Shangri-La, sits on a private 5-acre hilltop overlooking the Ojai Valley. 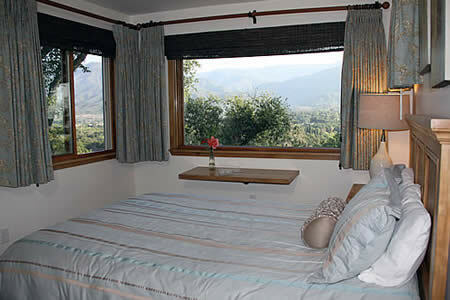 Situated just minutes from town and yet it feels like a world away. 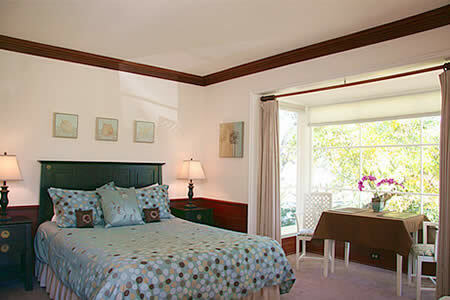 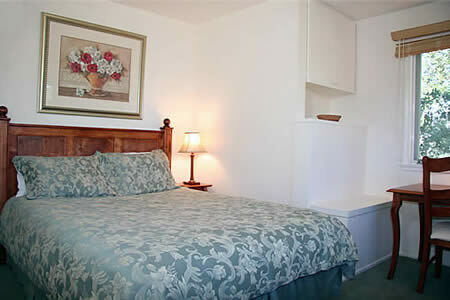 Guests have access to the two story Main House located in the center of the property. 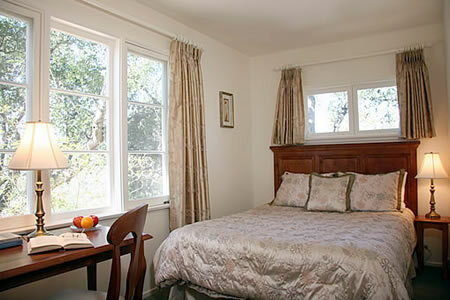 The first floor of the Main House offers a spacious and bright Living Room with picture windows where a delicious European-style buffet breakfast is served seven days a week. 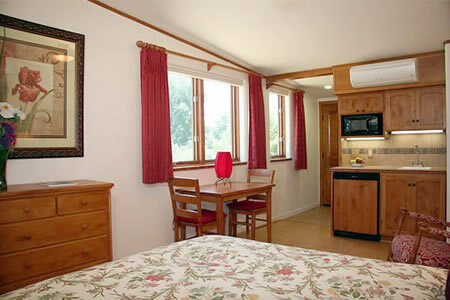 Breakfast includes a selection of breads, cheeses, cereal, fruit, hard-boiled eggs, and yogurt. 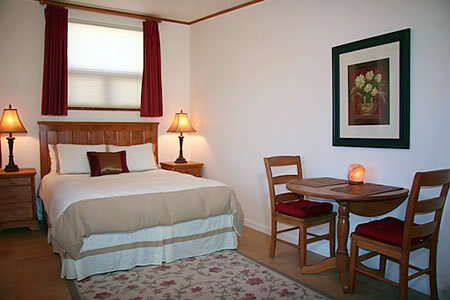 On the second floor, guests can enjoy reading, writing, yoga and meditating in the Quiet Room/Library. 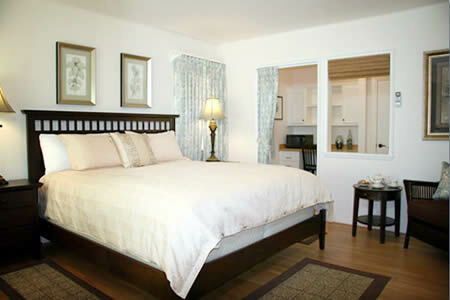 The gardens and walking trails are abundant throughout the property for guests to enjoy. 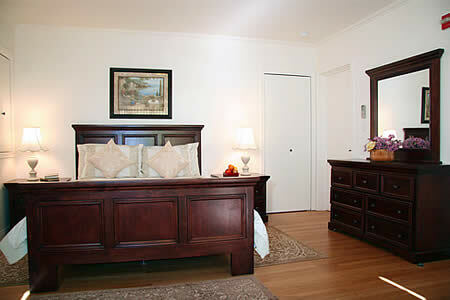 We offer one ADA accessible room: Adyar Sunrise.